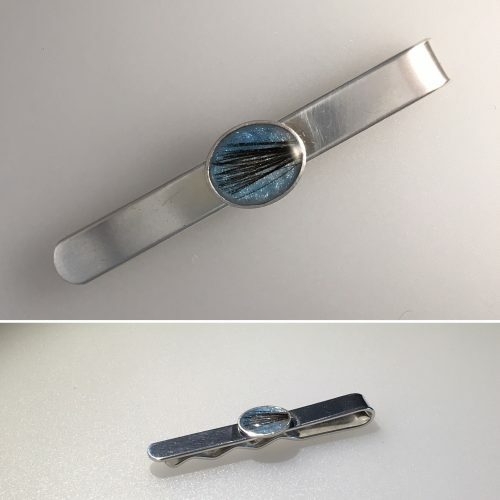 Cremation ashes can make you a beautiful and unique piece of jewellery, with a look that is as subtle as you want it to be. 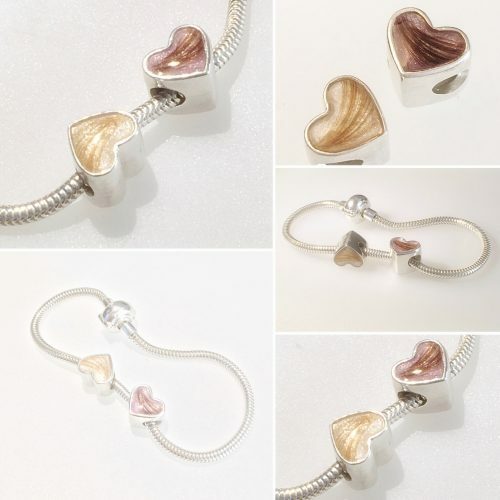 Cremation ash jewellery can bring comfort if you are grieving the loss of a loved one. It lets you capture a moment and hold it close when you need it the most. 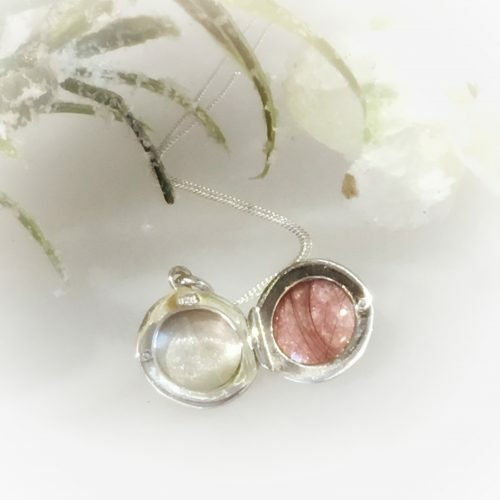 I get it, I do…but if it’s something you’re not sure about, or you haven’t seen the results of making cremation ashes into jewellery then please take a look…maybe you’ll like what you see. Please feel free to comment below on your thoughts and feelings (please be polite and respectful at all times). Cremation ashes all vary a great deal – colours & textures. If you think of cremation ashes as being similar to the sand on the beach…from coloured pebbles to super smooth pure white sand…ever changing and always unique. 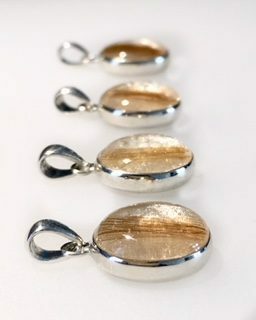 I think they give the effect of a beautiful stone – what do you think? Cremation Ashes hold a beautiful spectrum of natural colours and every example is as unique as the memory it is creating. What do I need to be able to do this? You just need a spoonful of cremation ash, often less. Are there time limitations for this to be feasible? No, so long as you have the ashes there is no time limit on being able to create jewellery. Do I need to be able to visit your studio in person? No. This can all be done online and through postage (see below). Distance is no problem – keep reading to find out how you can order yours. Can this also be offered for pets? Yes. Pet ashes can be used too. 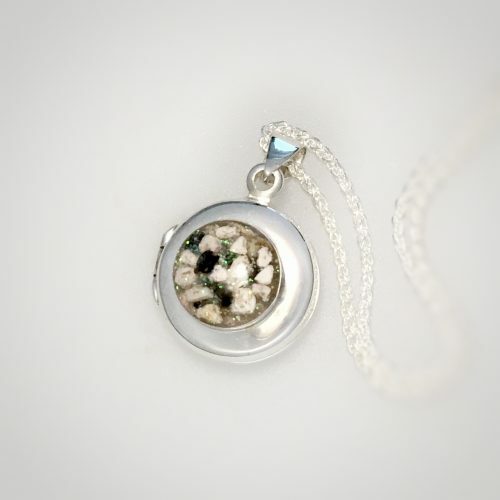 I have many other pieces of jewellery that can also hold cremation ashes, but as yet I don’t have photographs which are shareable. When I make these it is at the families discretion whether the images are shared. Due to the personal nature they often choose not to. How do I know that these are definitely the ashes that I send? I only work exclusively on ONE order of cremation ashes at a time. Each item is handmade by me in my studio, undisturbed in a safe and purpose-built environment. How safe are my ashes while you are working with them? The safety of your cremation ashes is of utmost consideration when in my care. Your ashes are stored with your order paperwork and again have their own designated area at all times. Ashes are touched only by tweezers and individually placed and set within your jewellery. All equipment is cleaned thoroughly between orders. It would be virtually impossible for my system to go wrong and I treat your cremation ashes with the utmost of respect. They never leave the container/sealed bag that you send me. I don’t ever transfer the ashes into anything else. There is absolutely no waste. 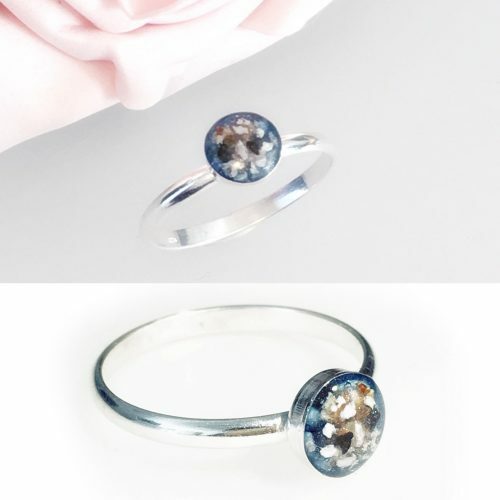 Everything that is not used is returned back to you along with your impressive jewellery. If you have any questions or queries, no matter how small, please just ask…I’m human! I’m here and I’m happy to answer any questions you might have…go on…ask me!! If you order online, follow the various options on the item you are ordering and add it to your basket. a. All inclusive – I will send you out a prepaid, ready to return box for you to send me the cremation ashes. You may wish to upgrade the postage to return the ashes to me, for their own safety during transit. Proof of postage should always be requested but think about the consequences if anything were to happen to the ashes. b. 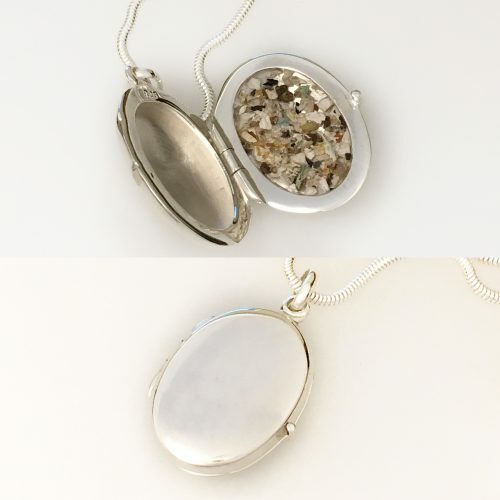 Arrange delivery of the ashes yourself and opt for the £7.95 Special Delivery option to return your finished jewellery back to you when completed. Legally it is no problem to post up to 50g of cremation ashes via Royal Mail. If you’d like to order in person, make a booking to come to my studio HERE. When you come to your appointment bring with you the cremation ashes. It’s best to keep it in a sealed plastic envelope. If you have an idea or a request that isn’t shown, please just ask…it may be possible to create something unique, exactly what you are looking for. If you’d like advice on any aspect of creating jewellery with locks of hair…please ask. “I wear mine every day without fail, and I can’t imagine not wearing it now. If you’d like to know more about what happens at Impressive Memories…head on over to the ‘Learning Centre’ and take a look!